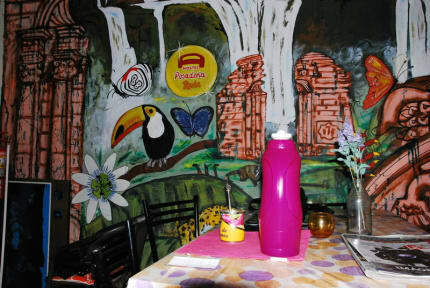 Cool Hostel situated in a good location, 5 minute walk to the central Plaza & the Riverfront. Very friendly & welcoming staff who went out of their way to help & answer questions. Comfortable beds too. Thank you :-) . Nice little hostel with pool. Good location. Helpful staff although they don't speak English. Breakfast wasn't included, although it says so in the description. Anyway, it seemed like a nice place to stay, but we only booked a room for one night, so it's difficult to say for sure. Nothing fancy and not the best value, but it did the job. Staff was a bit passive, but perfectly nice. Location is wonderful, short walk to downtown and easily accessible by bus. 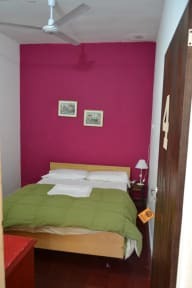 In general, just a standard no-frills hostel. The staff was nice but the room was dirty. The shower is very very small and it’s also tiny room. The air conditioner didn’t work at all. The location is good and the kitchen is big. It was terrible. When I got to the hostel the night of my reservation, they didn't have my bed available. They said they had no beds available. They gave me my deposit back and all they offered was to call another hostel to send me there. The other hostel wasn't nearby and it was already dark. They never suggested taking care of my transport to the other place. I was so disappoited, I left and find myself a new place at 11pm. Quite strange place. The sheets and beds are not that clean. I've asking to change mine when checked in, but it had no sense - the new one was the same. For two days I've lived there the basket in the bathroom never changed, and little worms were on the walls. Aircondition was dirty as hell. I lived in the room with 4 local men, 2 of them was actually grandfathers. It seems more like a common house then a hostel. Stuff doesn't know English, but anyway quite friendly. Fan didn’t work in one room and the air conditioner didn’t work in the other. Very very dirty. The sheets didn’t fit in either room. Staff use common area for themselves. Kitchen very dirty. Beds extremely uncomfortable. Not worth the money. They didn’t clean our room when we stayed multiple days. They did not hold my reservation. When I showed them my confirmation from this website, the host told me that they had nothing to do with the site. Do not go there!